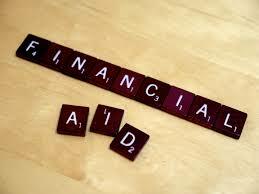 Fed eral financial aid can change often, and can be difficult to navigate alone. In the 2017-2018 school year, ​there won’t be many changes in how you apply for aid – but the aid you are receiving is coming with some different terms. The way you will apply for your standard aid is still by going to http://www.fafsa.gov. When you complete the FAFSA as a graduate student, the maximum you can receive is $20,500 for the academic school year (net amount about $20,282) – this amount is split between fall and spring semesters, with $10,141 per semester towards tuition and fees. Grad PLUS loans are a separate and optional choice to get up to the full amount of your Cost of Attendance each semester. These loans come with higher interest rates and should only be borrowed if necessary. Grad Plus loans often leave graduates with six-figure loan debt. Those that do not take these loans typically manage to keep their debt numbers under $100k. The interest rates this year are at 7%, which is up from 6.31% last year. It is also never too early to begin looking at your future repayment options. There are great tools, like loan calculators, at https://studentaid.ed.gov/sa/repay-loans/understand/plans. These calculators show you what your payment will look like on multiple plans, so you can make the best decision for your situation. Also of note, you can always change your re-payment plans by contacting your loan servicer! Financial aid can certainly be overwhelming – if you ever have questions or need help finding information, don’t hesitate to contact us.